What does it look like when money disappears? It looks an awful lot like your kitchen flooding. No homeowner ever wants to spend their hard-earned money on repairs and restoration after a kitchen flood. And the damage to your personal items can be devastating. 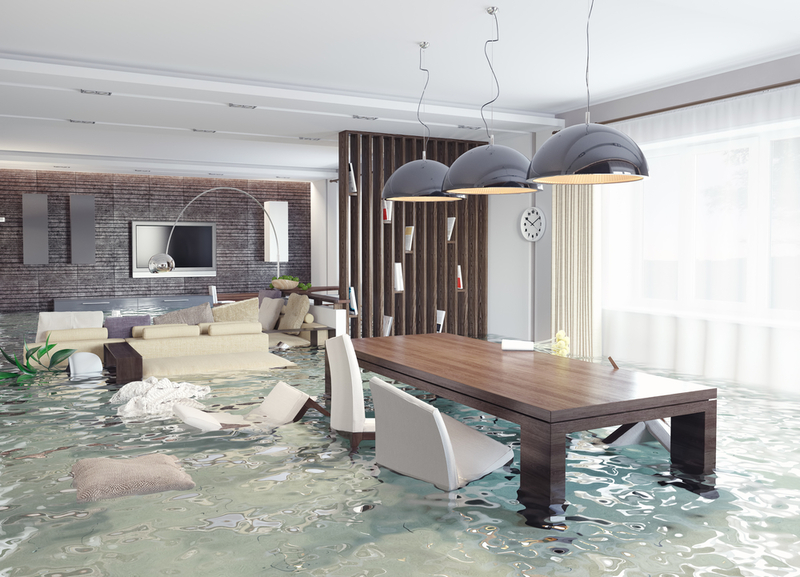 Learn how to minimize damage, begin cleanup, work with your insurance company, and more if you ever experience a kitchen flood. Your first step in a kitchen flood should always be to stop the flow of water as quickly as possible. This is an obvious step when you’re calm and collected, but when you’re standing in an ever-growing puddle in your kitchen, it can be hard to think straight. Now is a good time to learn where your main water valve is located, because if your kitchen is flooding due to a burst pipe, you’ll need to shut off the water. 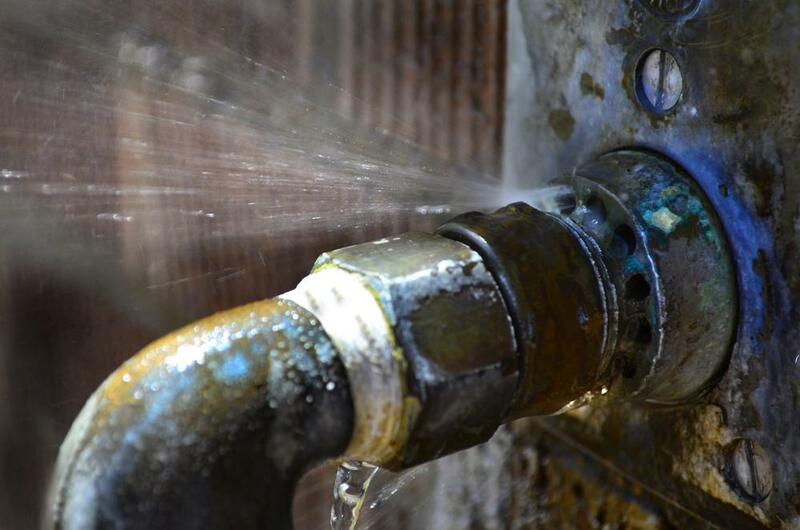 If the leak is near your sink, you can check for a knob near the pipes. Keep safety top of mind. You may want to turn off the electricity to the room, especially if you smell gas or see sparks. And if you’re in this situation, leave your home immediately after you turn off the electricity — and call 911. You may think your next call should be to your insurance company. While the insurance company should be high on your priority list, this is actually the time to call a disaster relief company. A disaster relief company can get to your home quickly, and can make proper scientific assessments of your damage. The company can stop damage in its tracks better than you, and they can properly document damage to share with your insurance company. Not only that, a good disaster relief company will also advocate for you and help you negotiate your claim with your insurance company. Many people think you should just use the company provided by your insurance, but this company will have the insurance company’s best interests in mind. Now is the time to find a disaster relief company you can trust. Couldn’t you just clean up yourself? 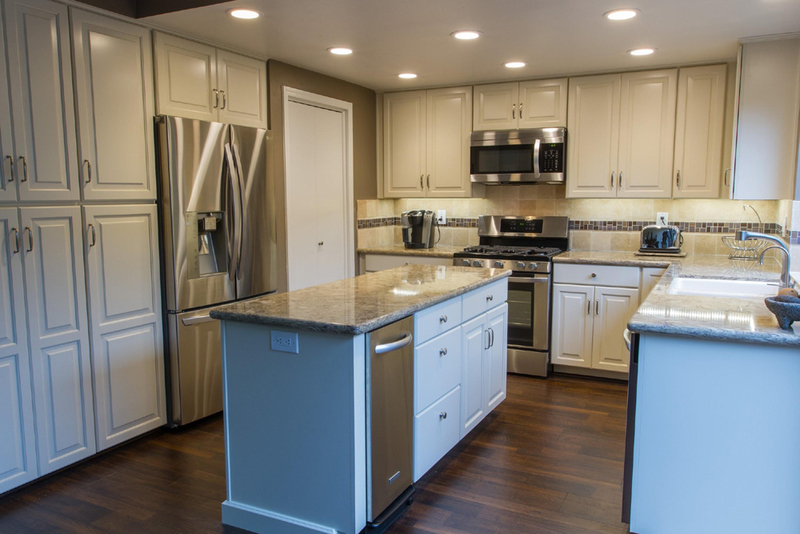 If you’ve dealt with a kitchen flood, you’re also going to be dealing with the threat, or very real presence, of mold and unseen water damage. Water is excellent at seeping into unseen cracks and crevices, and mold is even better at growing in moist places you can’t see. Grabbing some towels and fans is not a good cleanup plan. Instead, you want a WTR-Certified disaster relief company that has the appropriate scientific equipment and will follow the proper procedures to clean up your damage. They’ll also inspect for any chance of future damage. Soon after you’ve arranged for a disaster relief company to head your way, you should call your insurance provider. Don’t wait, or you may risk damaging the outcome of your claim. Ask what will be covered, tell them about the disaster relief company, and ask about any extra costs. Most homeowners’ insurance plans will cover for floods that originate from inside the home (a burst pipe, for example). Make sure you understand your coverage. Your insurance company will send an adjuster to review your damage, and claims negotiations will begin at that point. Because it could take 48 hours to two weeks for the adjuster to assess your situation, it’s important to stay in communication with the insurance company about what the restoration company can do in the cleanup process. Once you know how much money you’ll be receiving from the insurance company, you can begin restoration processes. Your restoration company will likely be able to assist you through this. With the right people on your side, a kitchen flood doesn’t have to destroy you. Find a good restoration company, understand your insurance policy, and educate yourself on how to properly care for your home so you can navigate your flood waters with confidence.